On Saturday, March 9th, the Champaign-Urbana Symphony Orchestra held a concert that will forever hold a special place in my heart. 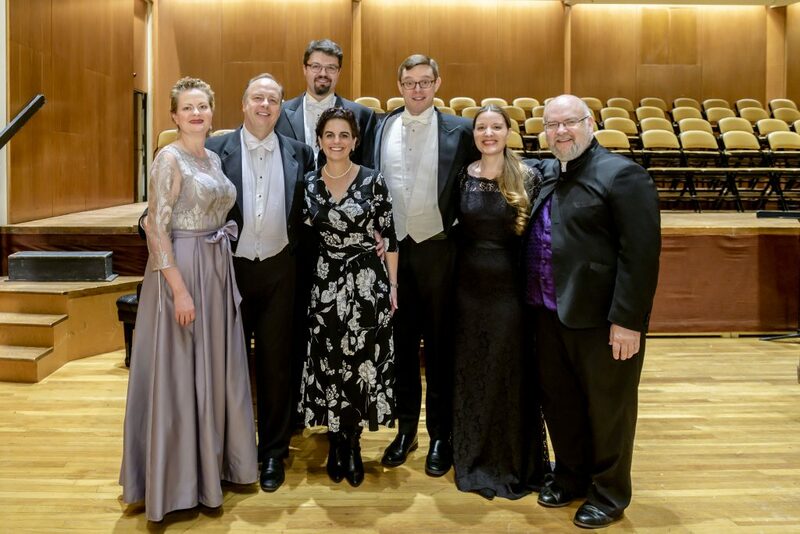 The combined forces of CUSO, the University of Illinois Oratorio Society (Andrew Megill, conductor), Central Illinois Children’s Chorus (Andrea Solya, conductor), and soloists Sarah Gartshore, Betany Coffland, Steven Soph, and David Govertson performed my oratorio Terra Nostra. This was the work’s second performance and its Midwest premiere. All of the singers, choristers, and musicians performed together under the baton of Maestro Stephen Alltop to give a fantastic, poignant performance that was the highlight of my Music Alive Program residence activities. We started the evening with a pre-concert event, featuring CUSO flutist Amanda Pond playing my Phoenix Rising. This is one of the pieces we featured in our Gaia-inspired chamber concerts this past fall (see below), and it was a wonderful tie-in to bring Amanda in to perform it prior to Terra Nostra. She sounded magical in Foellinger Great Hall, where the remarkable acoustics of the space added a beautiful reverberance to her performance. Next, Maestro Alltop and I had a conversation in which we introduced the 3-part structure of Terra Nostra to the audience. We also highlighted various texts and particular moments of the piece for which the audience should listen. I composed my 74-minute oratorio to be performed without intermission. 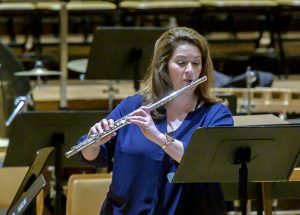 So once the concert began, the singers, choristers, and musicians dug in, and Maestro Alltop kept his baton up until the last chord finished reverberating around Foellinger Great Hall. 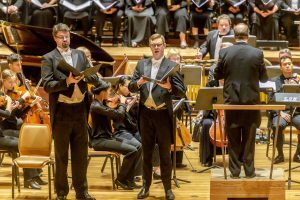 The performance went so smoothly, and Alltop kept everything moving right along with minimal breaks between movements, that they shaved a few minutes off the duration of the oratorio! The most common thought that ran through my head throughout the concert was how much I couldn’t believe my ears – to hear a piece like this for this first time since its world premiere four years ago, and to hear it performed with such beauty and power – it was heavenly. Immediately after the performance, we had a talk-back with the audience. 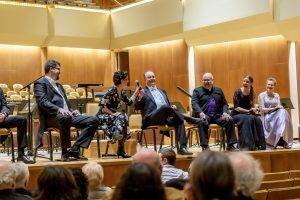 Maestro Alltop, Maestro Megill, the four soloists, and I answered questions asked by inquisitive audience members; we also talked about the preparation and rehearsal process of putting on a work of this size and scope. I wanted to have a memento of seed packets for audience members to take as they left the concert. For me, this gesture encompasses the oratorio’s message: as we came from the earth and will return to it, let’s remember that we are all stewards of the earth who can help replenish its beauty and resources for generations to come. An enthusiastic retired gardener kindly donated the seed packets and wicker baskets; audience members enjoyed selecting from a mix of flowers, herbs, and vegetables. 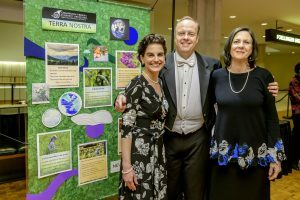 Earlier in the season, CUSO held two Gaia-themed chamber concerts, one at the i-Hotel and the other at the Prairie Fruits Farm and Creamery, in which Amanda Pond and the CUSO string principals performed a few of my earth-themed chamber works. The i-Hotel concert also featured two arias from Terra Nostra, sung by soprano Josefien Stoppelenburg and baritone Ryan de Ryke. At these events, we invited the audience to take part in our “Messages to Gaia” community project by drawing pictures, penning poetry, and writing short messages to the planet on pieces of butcher paper. We also ran the “Messages to Gaia” project at the Danville Correctional Center (a medium-security men’s prison located in Danville, IL). At the DCC, I held a Terra Nostra – themed concert for the incarcerated participants of the prison’s Education Justice Project. The concert consisted of participants reading texts taken from the oratorio’s libretto (Walt Whitman, Edna St. Vincent Millay, and Wendell Berry among others) interspersed with recordings of music from the i-Hotel event, the sharing of creative projects made by EJP participants, and a group composition that we wrote on-the-spot and performed together based on the four elements of nature. 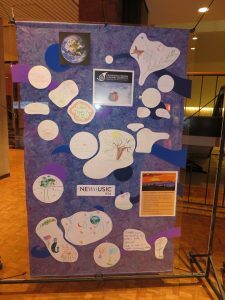 Throughout our concert, EJP members were invited to come to a table where they could leave their artwork, poetry, and messages on large poster boards. With the help of CUSO Guild Board’s Vice President Anne Sharpe and my mother Barbara Garrop, the three of us cut out the artwork, poetry, and messages from all of the butcher paper and poster boards, then affixed these on two large display panels that Anne expertly designed. These beautiful panels were placed right outside the entrance to Foellinger Great Hall for people to peruse as they entered and left the concert. Audience members also utilized the panels as a backdrop for selfies. 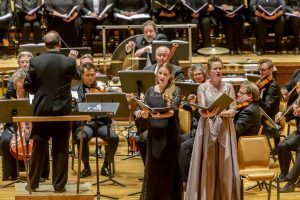 Mezzo-soprano Betany Coffland (left) and soprano Sarah Gartshore (right) singing “Binsey Poplars”. 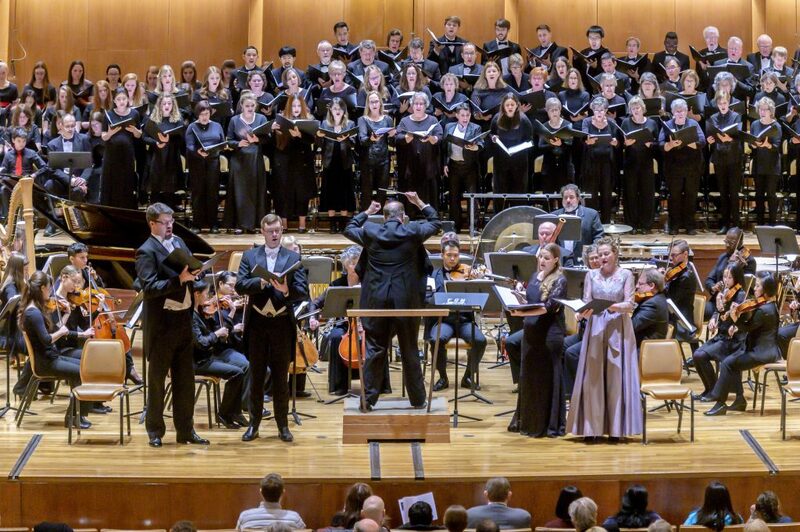 One more detail made this concert particularly special: six days prior to the performance, Maestro Alltop found out that our originally contracted mezzo-soprano was ill and had to pull out of the concert. What could have been a very tough situation to find a replacement in such a short time turned out to be a blessing. When he called me with the news, I immediately gave Alltop the contact information for Betany Coffland, the mezzo-soprano who sang in the world premiere performances of the piece in San Francisco back in 2014/15. Remarkably, Betany was able to rearrange her schedule, get re-acquainted with the piece, hop on a plane to the Midwest, and join us for all of the rehearsals and performance. I fell in love with Betany’s rich, exquisite voice at the oratorio’s world premiere four years ago, and I was so thrilled and touched that she moved heaven and earth to be with us for our performance. Thank you so much for joining us, Betany – I am forever grateful. The concert was a deeply moving experience. I’m so thankful for each and every person who took part in performance and who worked behind the scenes to carry off the performance and all of its related events. You all brought such grace, beauty, and passion to my oratorio, and I’m forever grateful. ❤️ My heartfelt thanks as well to the Music Alive Program, sponsored by New Music USA and the League of American Orchestras, for funding my residence and making the performance of Terra Nostra possible. 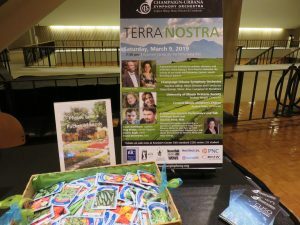 The Champaign-Urbana Symphony Orchestra’s Terra Nostra concert on March 9th made for a picture-perfect ending to my 3-year residence with the orchestra. While I’m officially in residence for a few more months, this was my last on-site trip to the Champaign-Urbana region, and I will finish up the final details of the residence remotely. From left to right: Sarah Gartshore, Stephen Alltop, David Govertson, Stacy Garrop, Steven Soph, Betany Coffland, Andrew Megill.